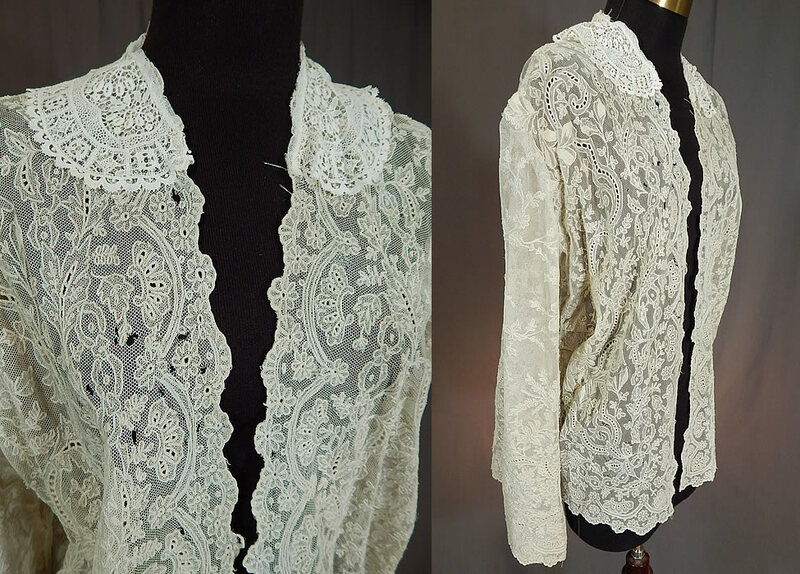 This vintage antique white net cutwork tambour embroidery lace collar coat jacket dates from the 1920s. 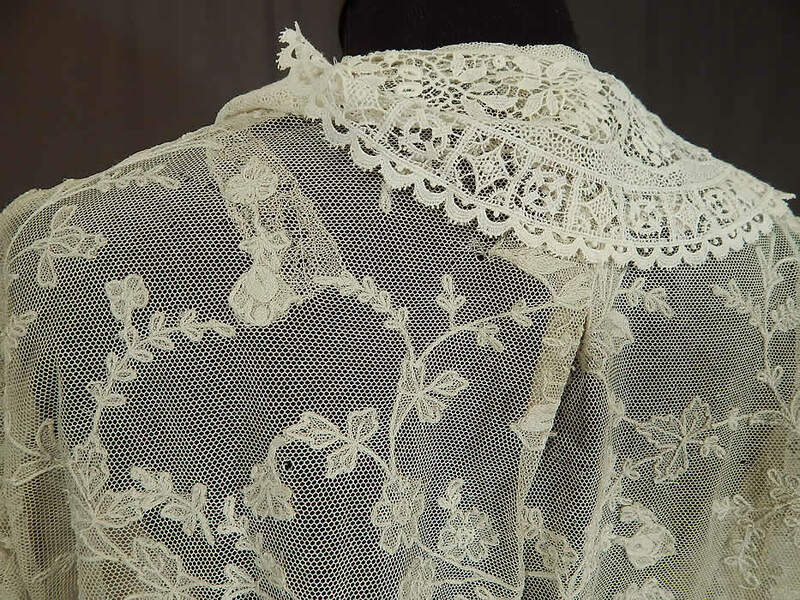 It is made of an antique white sheer net lace fabric fine tambour stitch embroidery work done in a floral vine leaf pattern design and a white lace collar trim. 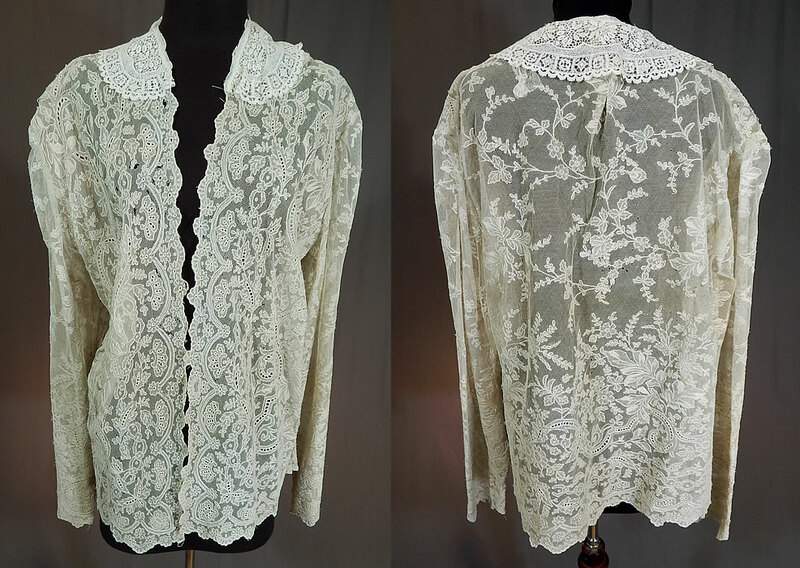 This lovely lace coat jacket is loose fitting, with scalloped edging, an open front with no closure, a lace trimmed Peter Pan style collar, long full sleeves and is sheer, unlined. 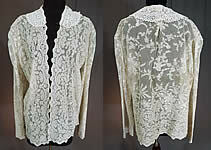 The jacket measures 26 inches long, with a 40 inch bust, 40 inch waist, 17 inch back and 25 inch long sleeves. 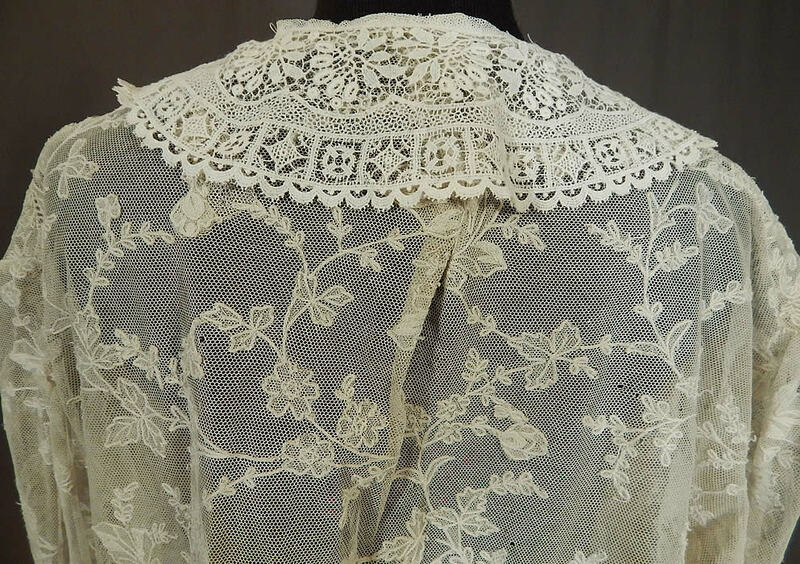 It is in fair as-is condition, with several tiny holes scattered throughout and a patched mended repair on the back neck with gathering (see close-ups). 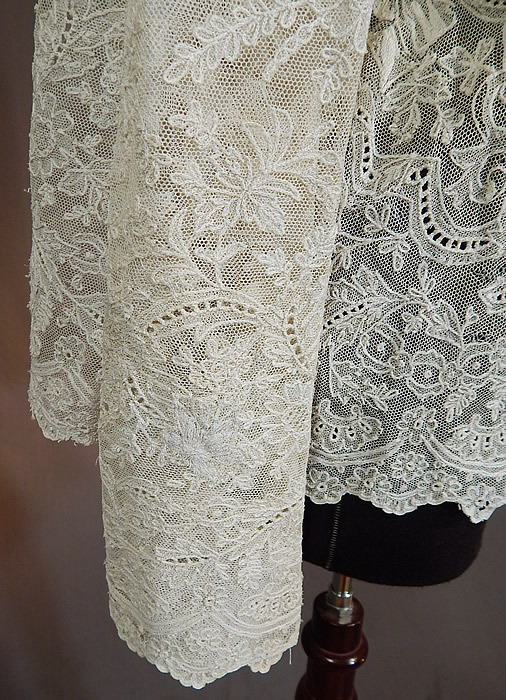 This is truly a unique one of a kind exquisite piece of wearable lace art!